More people are killed by prescription opioids than all those killed by heroin and cocaine combined. And that probably even includes all the shootings of gang bangers in northern Mexico. 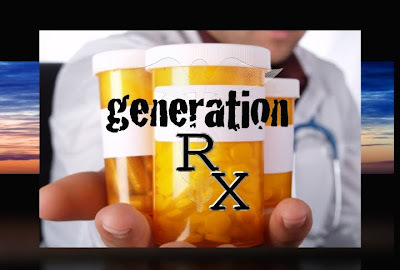 Prescription drug abuse is now more common than street drug abuse -- by far! And yet Big Pharma rakes in huge profits from all the patient addictions to their opioids. And by "opioids", what I mean is narcotics. They are, in fact, one and the same. The people in group #1 (street drugs) are taken to jail where they are given prison sentences. People in group #2 (prescription drugs) are taken to their doctor where they are given prescription refills. It's all really the same narcotics, it's just that one group is legal and the other is illegal. And what really determines whether a particular narcotic is legal or illegal? Whether or not Big Pharma profits from it. If Big Pharma makes money off the narcotics, they're considered legal. Big Pharma, you see, earns tens of billions of dollars each year from drug addicts. And just by coincidence, it turns out that their prescription narcotics are extremely addicting, guaranteeing repeat business. The business model is so dang lucrative, you might think they were drug dealers.